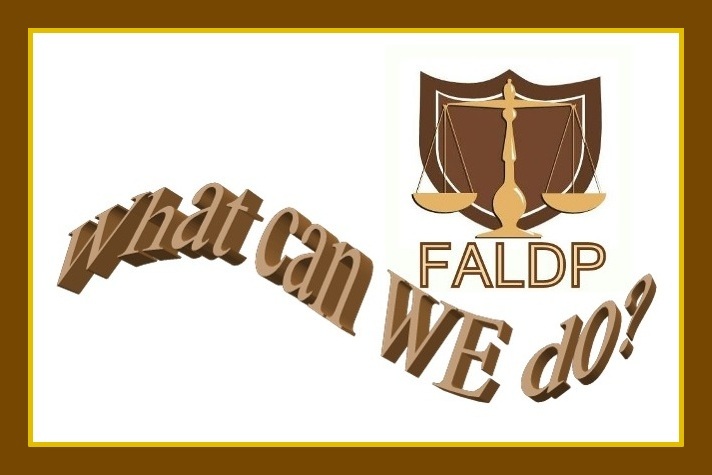 We appreciate your donations! 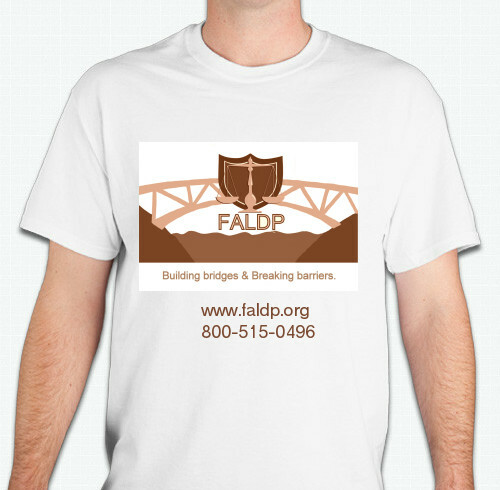 As a thank you for any donation of at least $15, we're offering a free FALDP T-Shirt. (Shipping included). 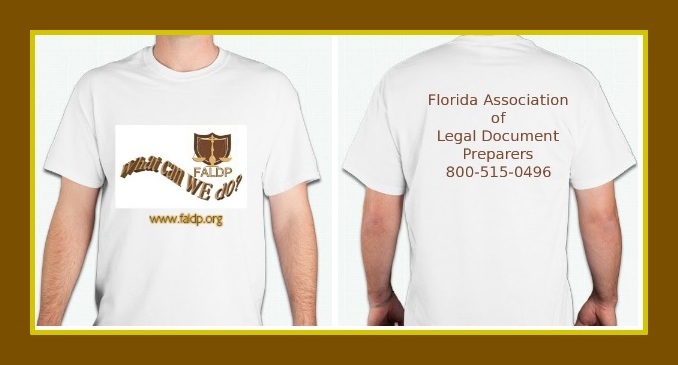 T-Shirts are 100% cotton; supplies are limited. After making your donation, please return to this page to submit your request for your free T-shirt, shipping information, and size. You can choose any color shirt, as long as its white. 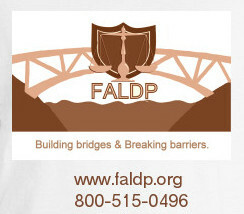 Or choose "Building Bridges & Breaking Barriers". We appreciate your donation! Donate any amount of $15. or more and receive a free T-Shirt. Please contact us for how to donate. 800-515-0496.